The Remaining by D. J. Molles is a digital publishing sensation. It has more than 900 reviews on Amazon and is being filmed as a movie. People who say the Internet hasn’t done much for new authors need to watch this star rise. Author D. J. Molles, has made great use of the Internet to get his book talked-about. You can check out his blog here or Facebook page here. The Remaining is also the best example of TEOTWAWKI (The End OF The World As We Know It) fiction on the market. Appropriately, the novel begins in an underground bunker. Capt. Lee Harden, United States Army, belongs to a secretive project known as Project Hometown. The government has constructed secure bunkers below ordinary looking buildings in each of the lower 48 states. In the event of a national emergency, an operative will be sequestered in the bunker with secret orders only to be opened if there is no communication with their superior after 48 hours. Each operative, known as a “coordinator”, is to remain in the bunker for 30 days after the last communication from their superior. The bunker has everything needed to keep the operative safe and secure for the duration of the emergency. Harden is in the bunker this time with his trained dog, Tango. He’s been sent down into it because a new plague has broken out. This is not the first time he’s been sent down in the bunker and Harden expects the whole emergency will end shortly, as it usually does. Shortly after his descent, most of the news feeds begin to go out. All he can do is stare at a plaque which reads “The Only Easy Day Was Yesterday”. After waiting the required length of time, he opens the box where his orders are stored, finds a thumb-drive in it, and loads the drive on his computer. What he discovers is the nature of the plague. Known as Febrile Urocanic Reactive Yersinia (FURY), a new bacterial disease is raging across the United States. Incubation is within 24 to 48 hours. There is no known cure. Victims begin to loose their ability to reason and turn into predatory animals, attacking anything in sight. In essence, the Zombie Apocalypse has begun (although in all fairness, the world “zombie” is never used in the book). His mission has begun: link-up with groups of survivors and restore order. The novel spends a lot of time discussing the various weapons and supplies Harden takes with him to the surface. The author has done his homework extensively in this area. For instance, did you know a polymer magazine is prefered for an M4 assault rifle because it can carry 30 rounds and won’t jam? I didn’t. 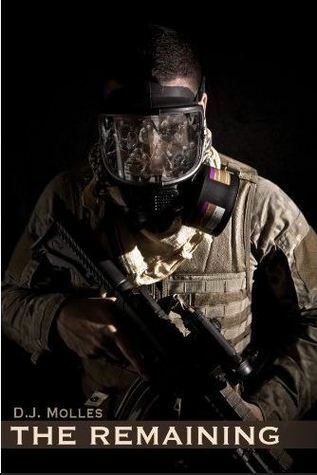 Finally, before the 30-day mark, he suits up in his chemical warfare gear and leaves the bunker. He’s nearly killed by a screaming infected with a knife, but manages to take her down. Mofett is good at foreshadowing the action, such as noting the area around the house was trampled, which should have warned Harden. He does learn a valuable lesson: the infected have incredible strength and won’t respond to pain. The best way to take them down is a shot to the head. The remainder of the book has Harden on the move constantly, helping people when he can. Not only are the infected a threat, but the world is running rampant with warlords and savages. He barely manages to save the life of a young boy whose father is gunned down by crazed rednecks. Again, the detail in Harden’s techniques on taking out an opposing force are incredibly detailed. The novel never lets up. Just as soon as you think Harden and the survivors he’s helping are in for a moment of peace, something else attacks. It can be mobs of the infected or warlords with captured weapons. This book is relentless. I read it in one day. It never fails to hold your attention. wouldn’t be able to get it back. There are two more books in the series. Molles is writing the fourth one currently. He’s also announced he may end the series at book five. The Remaining is an excellent first book from a new author. Highly recommended.